Secure and display your LCD/LED television on Luxor’s bestselling TV stand. 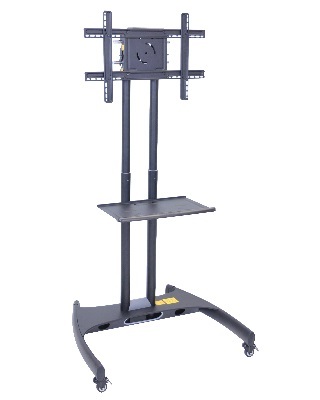 The flat panel stand is height adjustable and holds a range of TV sizes, enabling it to accommodate multiple users within conference centers, trade shows, and businesses. Cater to both sitting and standing audiences with the durable and adaptable FP-series stands.